Evans: This WMUK’s WestSouthwest. I am Gordon Evans. Coming up – the Chairman of the Sierra Club’s Michigan chapter weighs in on the State’s report released last week on oil pipeline safety in Michigan. But first, 25 years ago, the Americans with Disabilities Act was signed into law. A posting on the Justice Department’s website says that passing the ADA signified the nation’s committing itself to the elimination of discrimination against people with disabilities. Disability Network Southwest Michigan plans a celebration on Friday at its offices on Crosstown Parkway. Joel Cooper is Disability Network’s CEO and Paul Ecklund is a Disability Rights Advocate and ADA Coordinator. Thank you both for being here. Cooper: You’re welcome. Great to be with you, Gordon. Evans: Let’s back up a little bit for people who don’t know much about your organization and tell us about Disability Network Southwest Michigan. What do you do and whom do you do it for? Cooper: We are in our 34th year of providing services across Southwest Michigan. With a headquarters office in Kalamazoo, we also have a staff office in Battle Creek as well as an office co-located in St. Joseph, Michigan with our partners at the Area Agency on Aging. 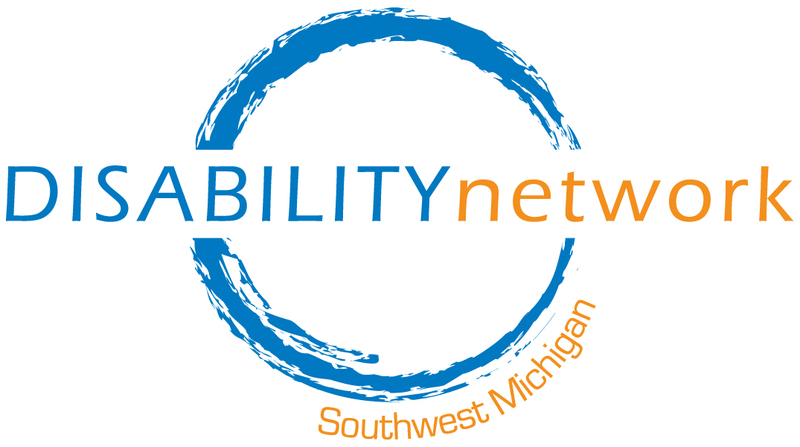 So, if we think back over the history of 34 years, Disability Network Southwest Michigan started as a grassroots organization, started like many Centers for Independent Living, which we are one of about 350 across the country. We are 2 of 15 here in the state of Michigan. Our Board of Directors and administration actually oversees the operation of two Centers for Independent Living. As I mentioned, one is located in our office in St. Joseph serving citizens of Berrien and Cass counties and then our main office, here in Kalamazoo, providing services across six counties in Southwest Michigan. So, the movement that happened when we go back to 1981, really had already been in existence for the previous 10-15 years. The Disability Rights Movement that started in kind of sync with the Civil Rights movement, although the Disability Rights Movement was pretty quiet and really no one ever knew that it existed. We had great leaders back in the 60’s and 70’s leading up to a lot of the initial development of Centers for Independent Living – the first one occurring in California at the University of California – Berkley with our, you could say “Father of Independent Living”, Ed Roberts. One of the great Disability Rights Movement advocates. So, today here after 34 years, this past year we supported over 8,000 people in a variety of ways. Primarily, one of our core services is Information & Referral and this past year we talked to and provided a variety of services to about 4,300 people. You know, the extensiveness of our services, Gordon, include the core services of Information & Referral, Peer Support – one of the unique things about us is that we say “Nothing about us without us” because the peerness of us is that 51% or more of our employees are people with disabilities and so that is an important ownership of disability in talking to and supporting others. That is the same for our Board of Directors – 51% or more of our Board of Directors of our organization are people with disabilities. Evans: So, if we look at the long history of Disability Rights and see it as another of the Civil Rights Movements in the United States, alongside many others, how big a moment is the American with Disabilities Act in terms of progress for people with disabilities? Cooper: You know, I can’t understate in any way the significance of what happened on July 26, 1990 when the Americans with Disabilities Act was signed into law by President Bush. The evidence in the work of great advocates to make that law available to all of our citizens with disabilities across the country changed the life and the ability to access everything in our communities no different than any other person. And I think it is really a statement of inclusiveness. I know for us at Disability Network, that is what we work on every day is building inclusive communities. The work of our staff, that Paul is involved in each day, is really improving upon the ADA and all of the different laws within the titles of the ADA to ensure compliance, in some respects, but we do not have the authority to ensure compliance so we educate and we try to make sure that everyone is truly understanding and has the knowledge to truly know how to become in compliance with the ADA. Evans: Now let’s get into the nitty gritty details of the ADA in a little bit but first of all, let me have you tell us what will be happening on Friday July 24th to mark the 25th anniversary of the Americans with Disabilities Act. Cooper: Well, this will be our second community event. We did the 24th anniversary as our first effort to bring the community together in an effort to provide that level of education about the Americans with Disabilities Act but we also wanted to celebrate so it was kind of our “practice” last year, a year ago. This year, leading up to the significance of the 25th anniversary, I know and our planning committee and our Board of Directors is so very excited about the opportunity of increasing the number of community members that will join us for this celebration. I think our program that we have scheduled is really going to be exceptional. It’s an opportunity for us to recognize with some awards, some customers that we have served, some great disability rights advocates. In fact, this year we will be doing that as part of our Jim Neubacher Lifetime Achievement Award. The other thing is that we have, as our keynote speaker, Sharon Ellis who is the Michigan ADA Compliance Director, certainly working closely with the Governor’s office and ensuring access for all citizens in Michigan to all of our public services. Evans: So, what has the Americans with Disabilities Act meant day to day, maybe in some ways that we don’t appreciate so much now that things have become more commonplace but what has it meant for people who have a disability that the Americans with Disabilities Act is in place. Is the law the link? Paul? Ecklund: If you take into consideration the regular daily activities that people do, for instance, listening to the radio. For people that are deaf, it may not available for them. And it’s like the telephone – because of the ADA, there was passed the means of being able to have a service to relay systems, which is where you call up a third party that will be able to have a TTY and you can type in what you want to say – like say ordering a pizza. Then they will call the pizza place and actually order the pizza and relay the information from the pizza place to the person that has a hearing impairment. For people that are deaf, say like the television. They couldn’t hear anything that was going on on the television so by having closed captioning – like now if you push the mute button on the TV, closed captioning pops up – it is this automatic kind of thing. That made the television accessible for people that had a hearing impairment. Stores are now accessible where before, if you used a wheelchair, you couldn’t get in the stores if it had one step and now a lot of them have power doors and you just come up and zip you are in. So now they can access all of that that used to be inaccessible for them. Being able to go to restaurants or movies was inaccessible but now with the transition of moving toward greater compliance with the ADA, much of society is open to people with disabilities whereas before it wasn’t. And say with like employment – it used to be that you could legally discriminate against people with disabilities that if they came in and even if they were perfectly qualified for the job and simply because they had a disability – they wouldn’t get hired. Now it is just strictly a basis of: can you do the job with or without a disability. Evans: You noted that your organization’s primary function is education – informing people. So, what happens if somebody calls you up and says, “Hey, there is this place down on the corner that I can’t get into with my wheelchair or they’re not, in some other way, accessible to somebody with a disability. Is there some sort of process then that you can go to to try and talk to that business? Does it sometimes get to the point that you have to turn it over to somebody else that does have a little more legal standing? Cooper: That is very true and I am going to have Paul give an example of that, Gordon. But one of the things that we try to do is bring to the attention the requirements of the ADA. You know, one of the simple examples is making parking lots accessible, having van accessible spaces with proper striping and proper signage. And I know that we’ve had instances of where we could NOT convince the property owners to make the changes required by law based on the status of that lot. There has been a few occasions when we have decided that we needed to file an official complaint with the Department of Justice. And we, in some instances, will do that. It is pretty rare because usually when Paul gets involved in consulting with them, the education piece does make sense because it’s really, for businesses that do have parking lots, it is an economic advantage for them to make everything accessible so that they are actually including all potential customers. Ecklund: If you are talking about access to services or something like that, for instance, there are a few restaurants that might be on the 2nd floor of a building that has only stairs going up to the restaurant. People would be able to come in and at the entry level there may be a bar or something like that that they could actually order from the same menu that is upstairs and have it served to them in the entry level bar. The main thing being that the programs and services of the inaccessible entity are still accessible, even though they may not be able to physically access that particular thing. If the person comes in and they are not granted the same services, then we would try to educate the owners to try to see how you can access those services. And if it comes down to the bottom line as far as they are not wanting to comply or flat-out refuse to comply, then there is always the hammer of being able to bring in the Department of Justice or the Michigan Department of Civil Rights. Evans: The Chicago Tribune had an interesting story on the 25th anniversary of the Americans with Disabilities Act and there was one man who described going to school years ago who had a broken neck and said, “I wound up going to a brand new school paid for with federal funds and no accessibility features to it.” He said that he had to be carried up and down the stairs every day and said that it is the sort of thing that is very foreign thinking now because of the ADA. Is that an example where the law has sort of become part of the fabric in our society and we don’t think now that someone would go to a school and have to be carried up and down the stairs and we would expect for there to be elevators, ramps, etc. that allow someone to move about. Ecklund: Yes. There was a case in Tennessee called Tennessee vs. Lane where an individual was taken in for a traffic citation and had to crawl up the court steps because there wasn’t any ramps. They got into the courtroom with the Judge and they had another meeting set. And the second time, Lane refused to crawl up the steps. The Judge actually came out and charged him with contempt of court. It went to the Supreme Court. It was decided in favor of Lane that all courthouses in Tennessee and the nation have to be made accessible because it was denying basic rights to people with disabilities. Cooper: Yes, yes he is. And who knows that the courts are not completely accessible in all the ways – both from a programmatic service perspective as well as even in some instances a physical access. And it is great to see the wisdom already in the work that he is doing as a Supreme Court Justice. That might be another story down the road, Gordon, to talk about accessibility in our courts in Michigan and the work of Supreme Court Justice Bernstein. Evans: Maybe just to wrap this up I would like to ask this question: Has the Americans with Disabilities Act allowed people with disabilities to live more independently? Perhaps, to live on their own where in the past maybe they needed more assistance day to day getting places and doing things. Has this made it more possible for them to live on their own and to get out in the community if they need to and buy products or get to work on their own? Cooper: You know, I am going to start with an example, Gordon, and then Paul can add in from an ADA perspective. You know, the Disability Rights Movement – there are many facets to it. Obviously, the ADA is a significant one related to that. But the theme of people wanting to stay and be included in their communities – the ADA helps that in many wonderful ways around accessibility. I think the level of independence that we have been promoting as part of the Disability Rights Movement is that we are seeing laws and services changing all the time to be better accommodating so our Michigan citizens can choose to continue to live in their own home even if they were needing a higher level of nursing care. One of our programs that we work closely with in all 42 of the nursing facilities in Southwest Michigan is the Nursing Facility Transition Program where my staff are actively engaged in talking with residents to move back into their community – to live as independently as possible. And we have seen changes in Medicaid laws and the use of Medicaid waiver to provide additional supports so that the level of independence can be customized to meet the needs of each person. So, I think part of the Disability Rights Movement and the ADA is seeing it impact positively on so many other state and federal public services as well. Ecklund: Living independently, if you think about that, transportation is a big component. How do you get from one place to another? Prior to the ADA, buses were not accessible. There was no demand response system. There was just maybe a bus that you had to climb three or four steps to get into the bus. People were relegated, if they used mobility devices, they were relegated to basically stay at their own home. Since the ADA, now all buses are fully accessible. They can get to different appointments, go to the store, be able to visit friends just like anyone else. A tremendous increase in the ability for independence. Cooper: To add on to that, I think this whole idea of changes for people to be able to more included in their community. You know the history piece that started back even before the ADA and is something that, Gordon, I wanted to share with you because it is right here in our own backyard. Early on we were talking about how the ADA brought about the requirements of curb cuts into our communities. We did some research last year and now we are learning even more again this year: the communities of both Battle Creek and Kalamazoo were the first 2 communities to actually construct curb cuts anywhere. In fact, we have commissioned minutes from the City of Battle Creek City Commission meeting from of July of 1945 where they allocated funding to do curb cuts so that the veterans that were staying at the Army hospital, the Federal Center of course that we know today, could access downtown. So, that same story is true here the following year, in January of 1946, the City Commissioners of Kalamazoo as a response to a great disability rights advocate here, a local citizen, a veteran of WWII was also wanting better accessibility. And as a result of that, 44 different curb cuts were in downtown, the business district of Kalamazoo. That’s going to be part of our celebration of the 25th anniversary of the ADA. We are working with City Planners in both of these communities to actually construct a marker and maybe even some potential ribbon cutting as we work with them on proclamations to continue their work on leadership to, again, become fully complaint with the ADA in the next 25 years. Evans: Joel Cooper and Paul Ecklund, thank you very much for your time. Joel Cooper is the CEO of Disability Network Southwest Michigan and Paul Ecklund is Disability Rights Advocate and ADA Coordinator. Disability Network is planning a celebration of the 25th anniversary of the Americans with Disabilities Act on Friday. More details can be found at www.wmuk.org.